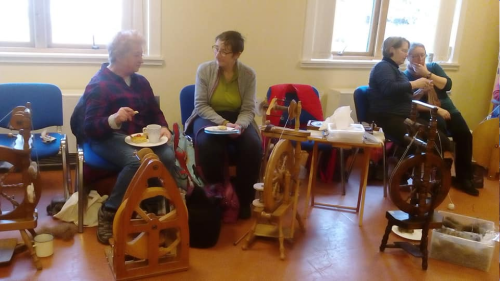 Another good day, with 30 plus people attending, and a shared lunch. 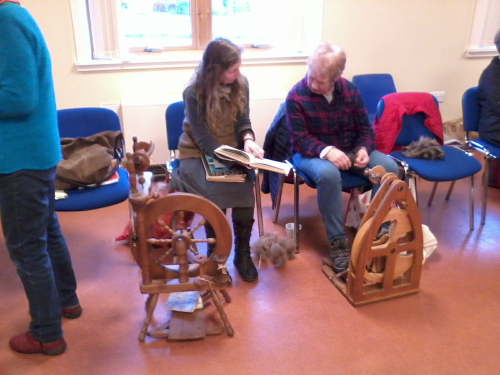 Most people were spinning; Sheila had brought along a book charka to spin cotton. 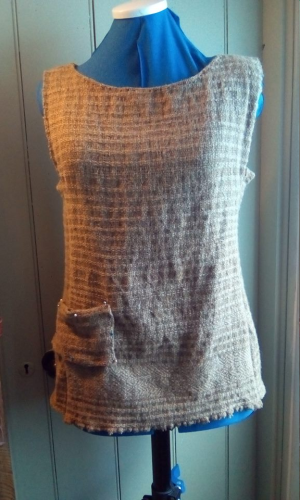 Click on the pictures to see more detail. 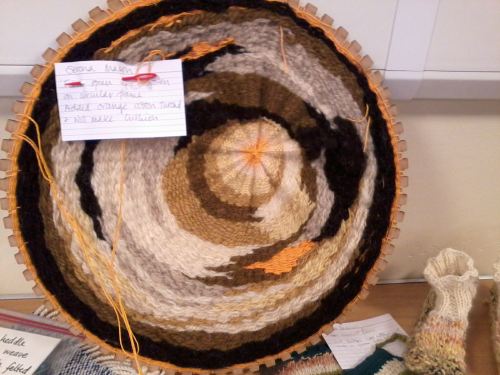 The focus of the day though was the Guild challenge. 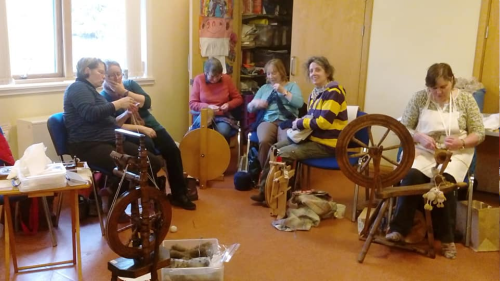 This started at the September meeting, when those participating had been asked to bring 100 gms of fibre (in an opaque bag!) 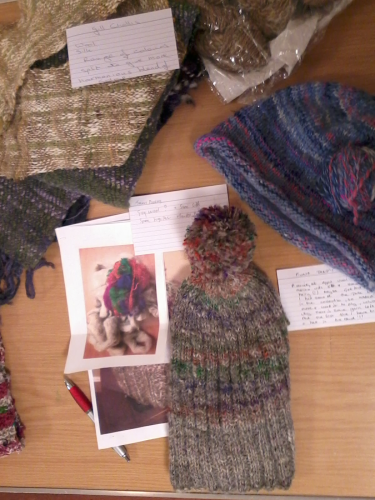 to exchange. 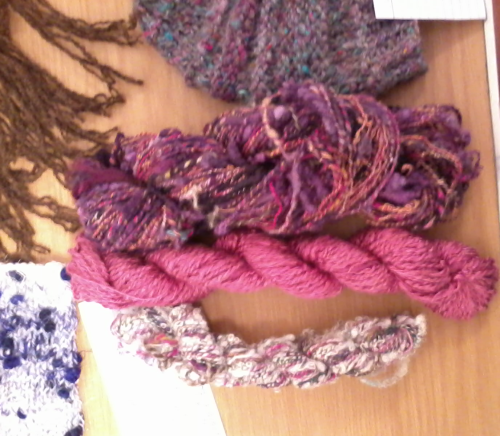 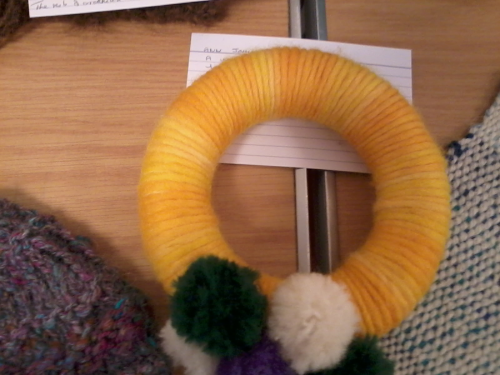 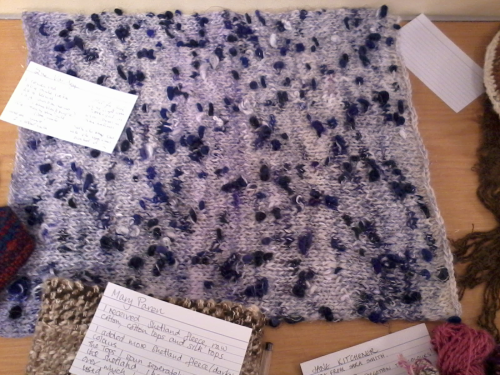 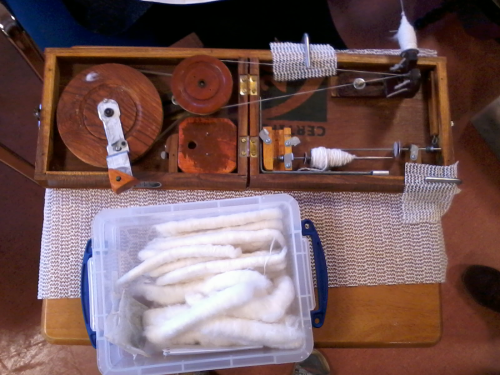 The challenge was to spin whatever fibre you got, and to make something with it! 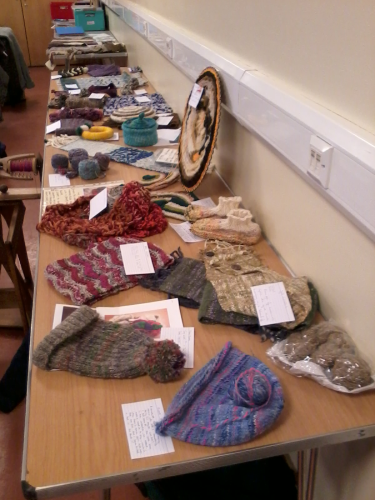 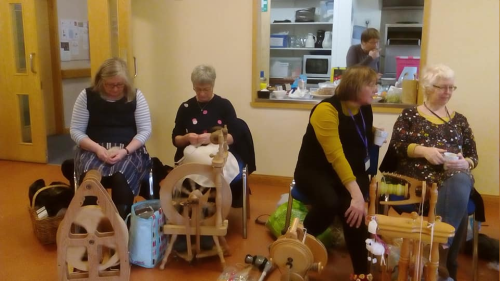 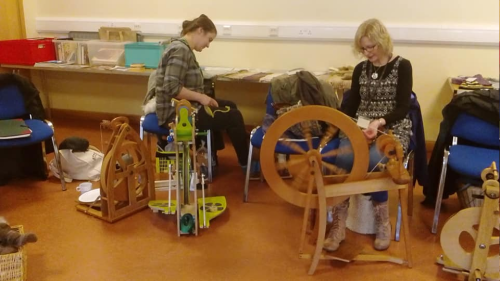 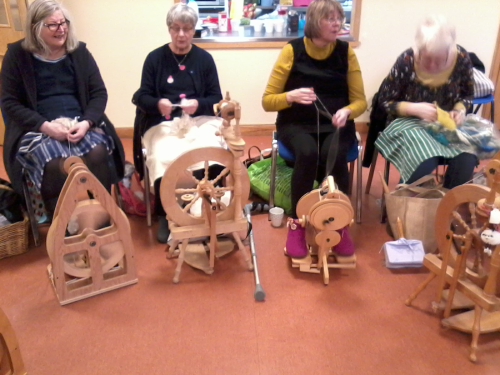 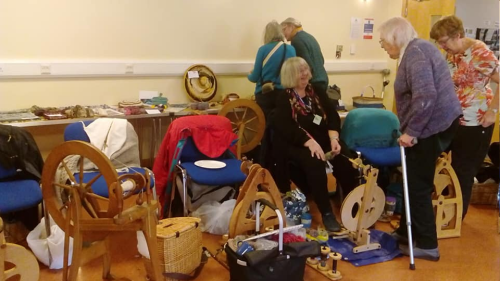 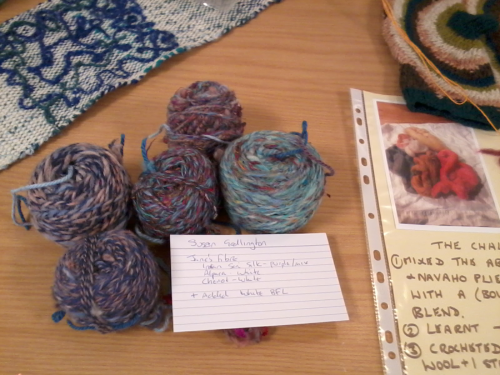 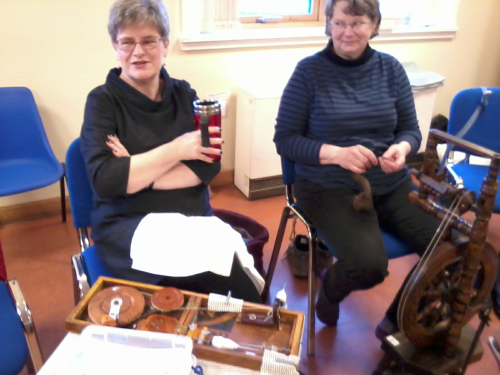 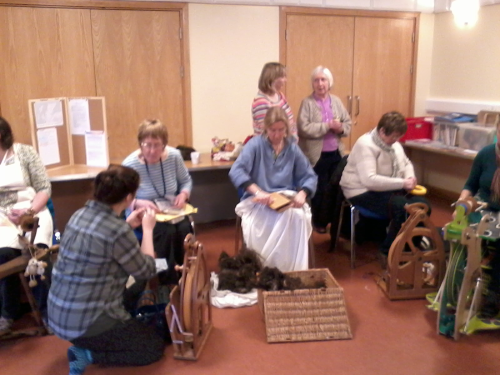 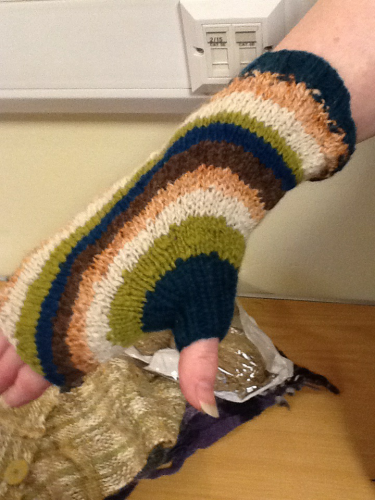 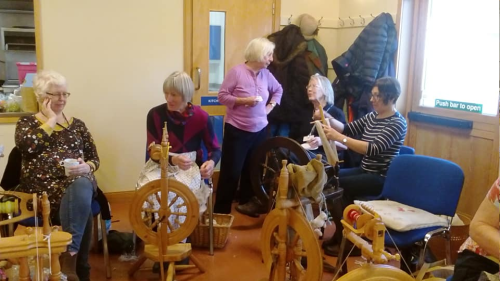 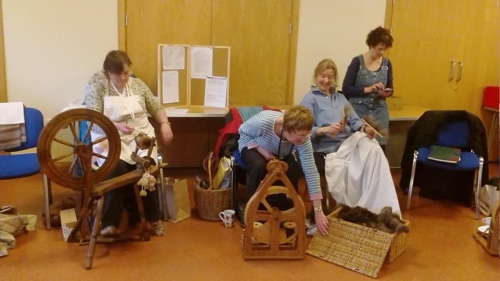 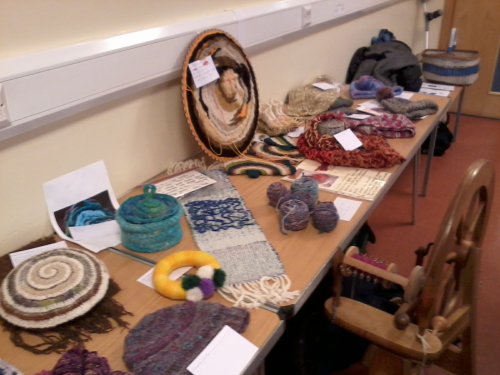 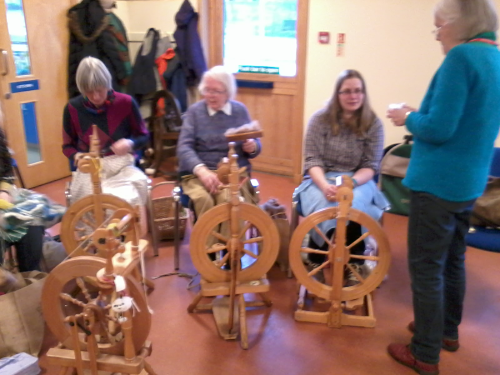 Several people who could not attend the September meeting joined in later, exchanging fibre at spinning groups. 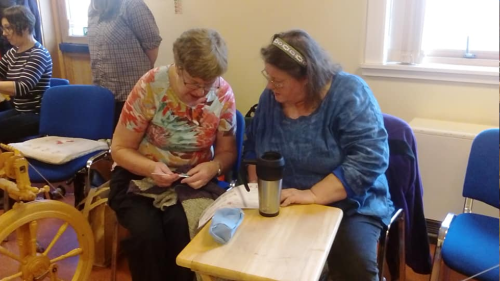 The array of completed projects was impressive, and it seemed that everyone had learned from it and been pushed out of their comfort zone. 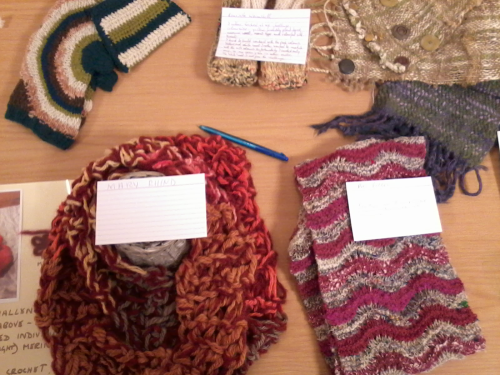 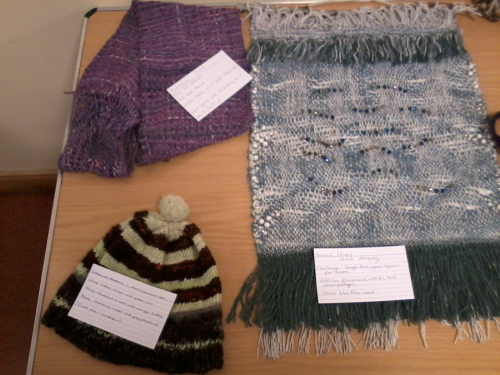 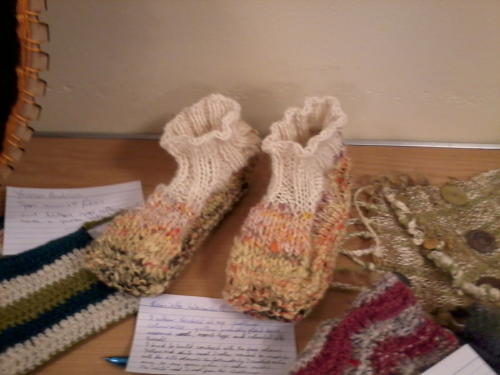 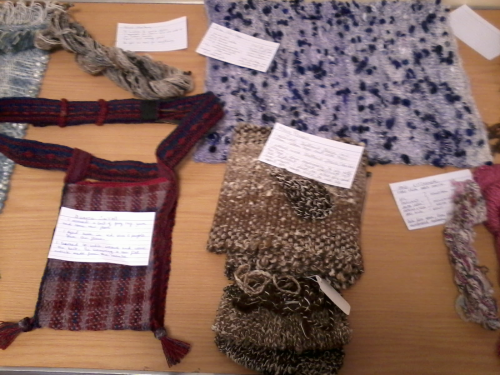 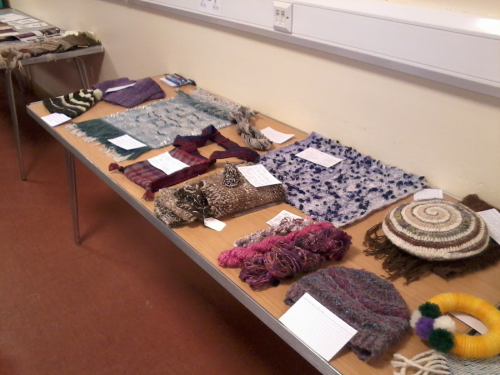 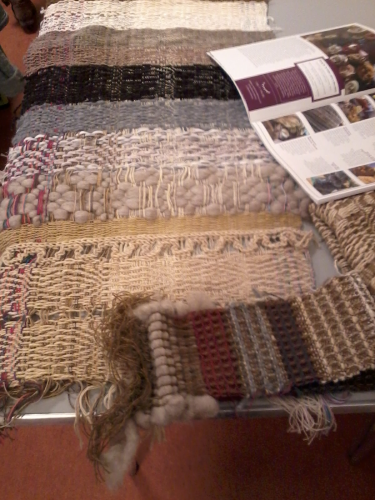 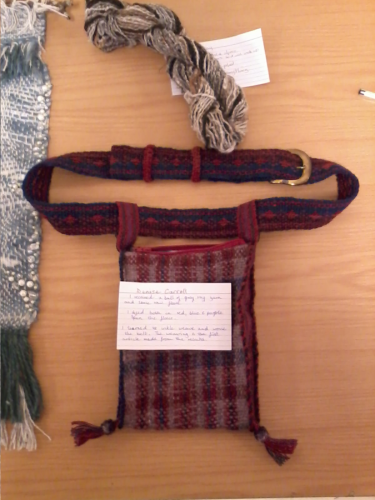 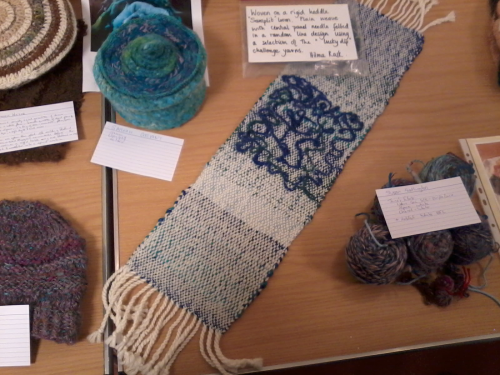 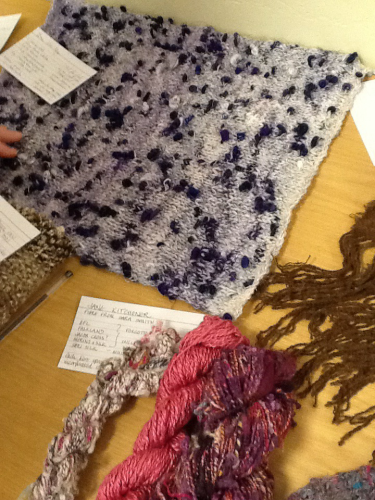 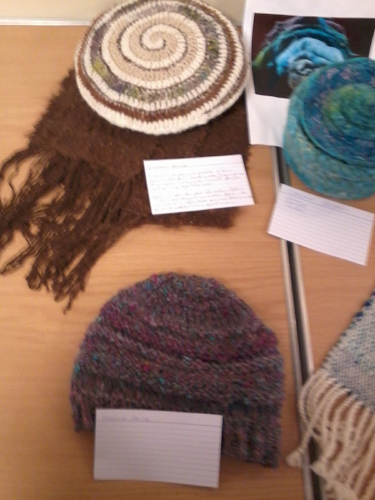 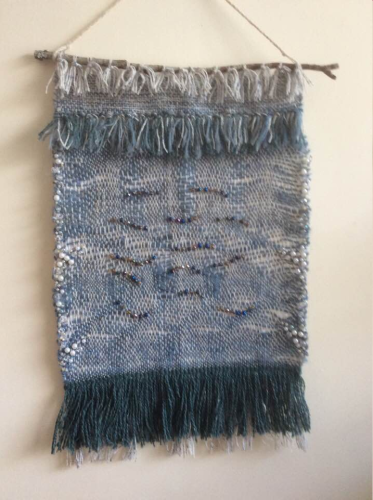 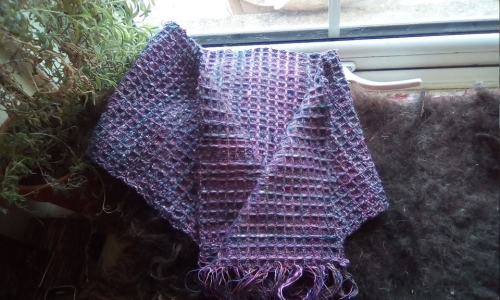 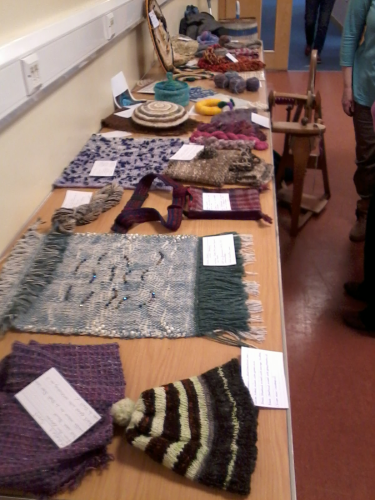 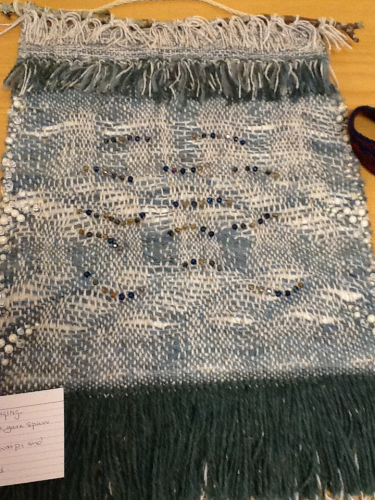 A couple of additional items: Michelle was wearing a tunic created from her first foray into 4-shaft weaving; and there was also a display of woven samples.